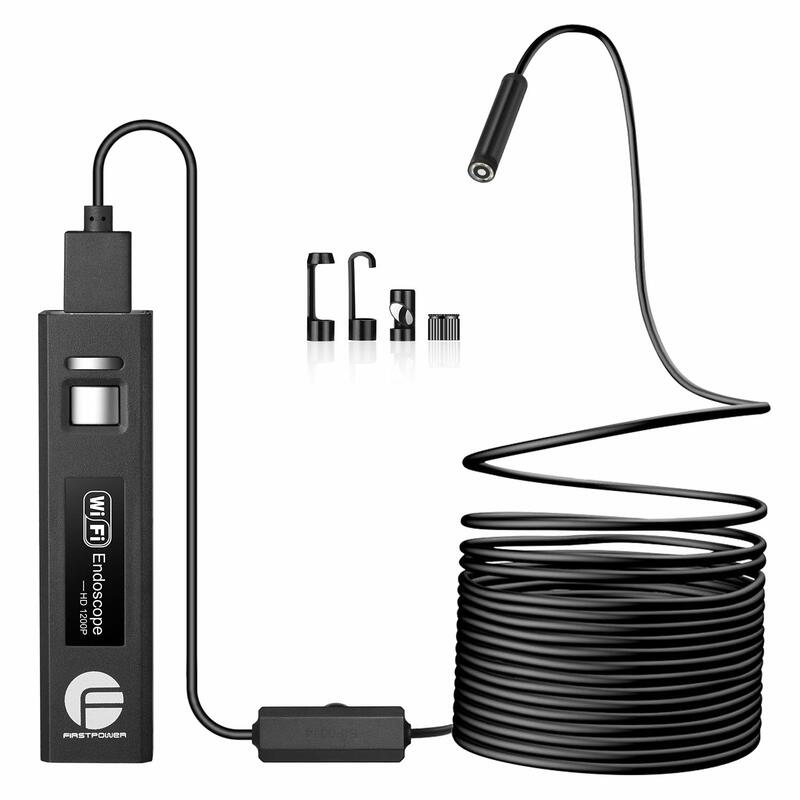 Multifunctional Applications: Use this device for examining fine jewelry, coins, stamps, electronics, Industrial Inspection, Computer Parts inspection, Telecom module inspection, scientific teaching tool, Laboratory Research, Medical analysis, School Research tool, Insect dissection examination, Plant dissection examination, Skin examination, Scalp examination, Textile Inspection, Printing Inspection and so on. Service & Guarantee:VSATEN provides 100% satisfactory customer warranty service. 1 year Warranty, Replacement or full refund without return. providing you a wonderful shopping experience. If you have any question, please contact us without hesitation. 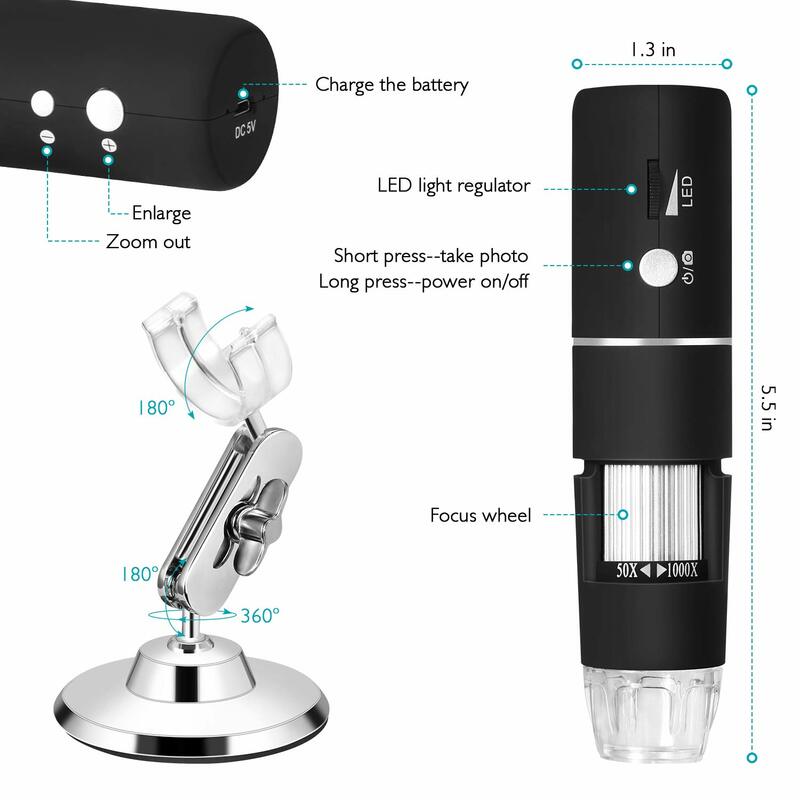 The plugable and portable Wireless microscope with 50×-1000× magnification allows you to work efficiently and quickly at the microscopic level. 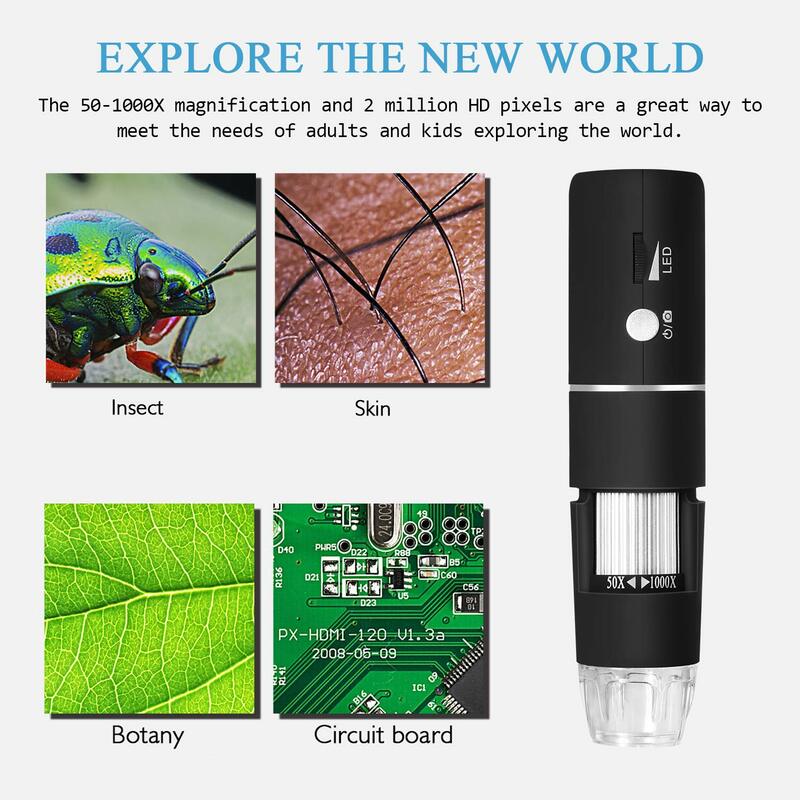 Not only great for biological research, classroom exploration, stamp or coin analysis, micro-soldering, garden parasite identification, but also good for cultivating the your kids’ interest in scientific research. 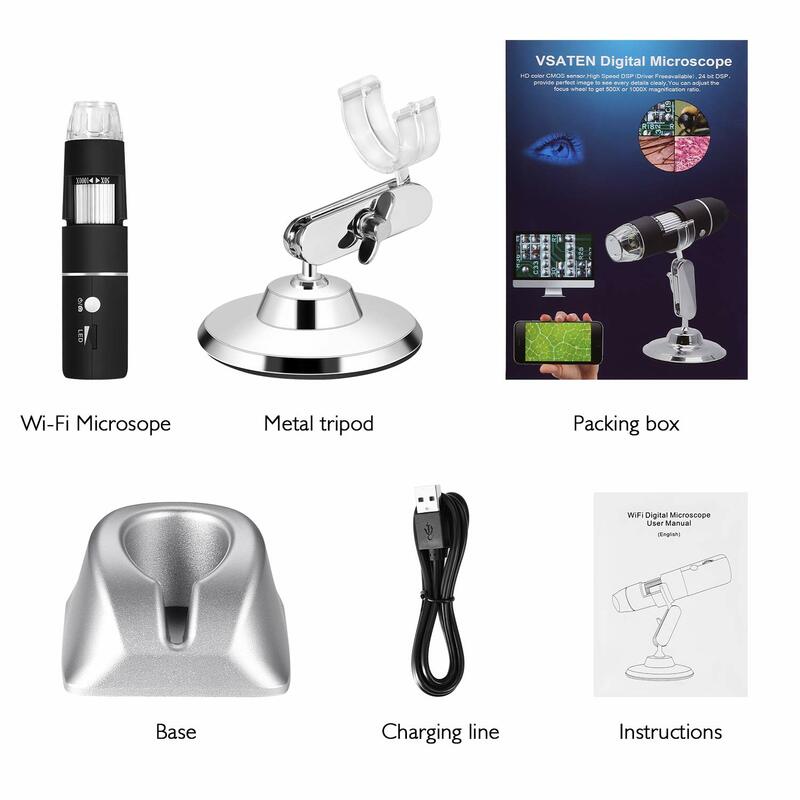 With the combination of usage of APP/Software on smartphone device & computer, this WIFI microscope camera allows to you view live image or record video of the inspected the item/places in detail directly on your phone or computer. Capture resolution and exposure can be adjusted with few clicks on the app settings. The built-in camera adopts the advanced .0MP HD CMOS sensor with the highest resolution up to 190×1080P, providing perfect image to see every details clearly. Armed with adjustable magnification from 50× to 1000, you can easily adjust the focus wheel to choose the favorable magnification ration at your own needs. 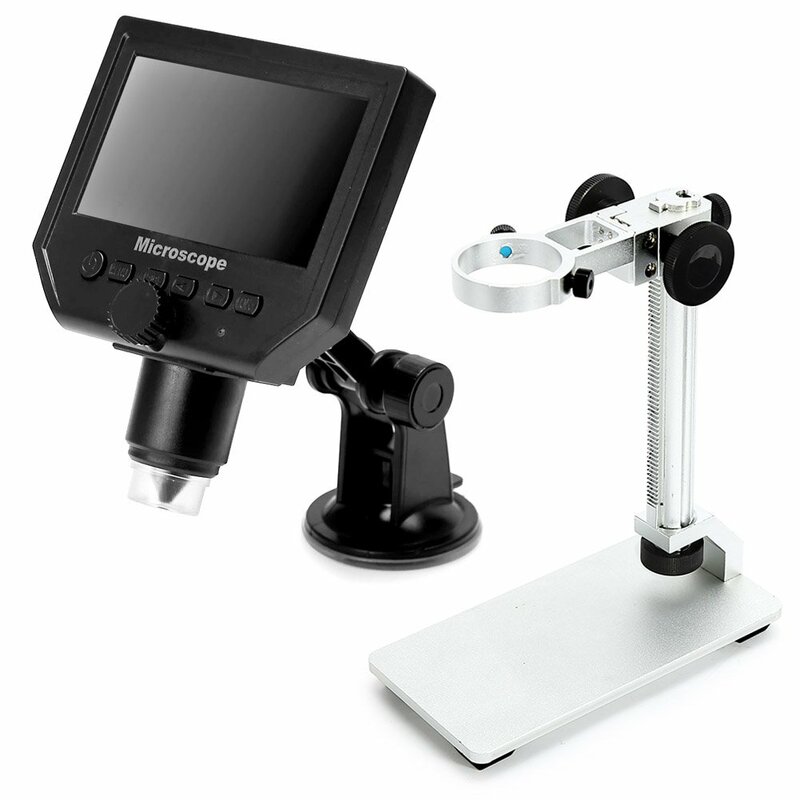 Due to the 3 in 1 USB interface design, the microscope camera is compatible with the most of mainstream mobile phone & computer, including phones running Android 4.+ system with OTG function, Windows 7/8/10, Macbook OS 10.5+ computer. 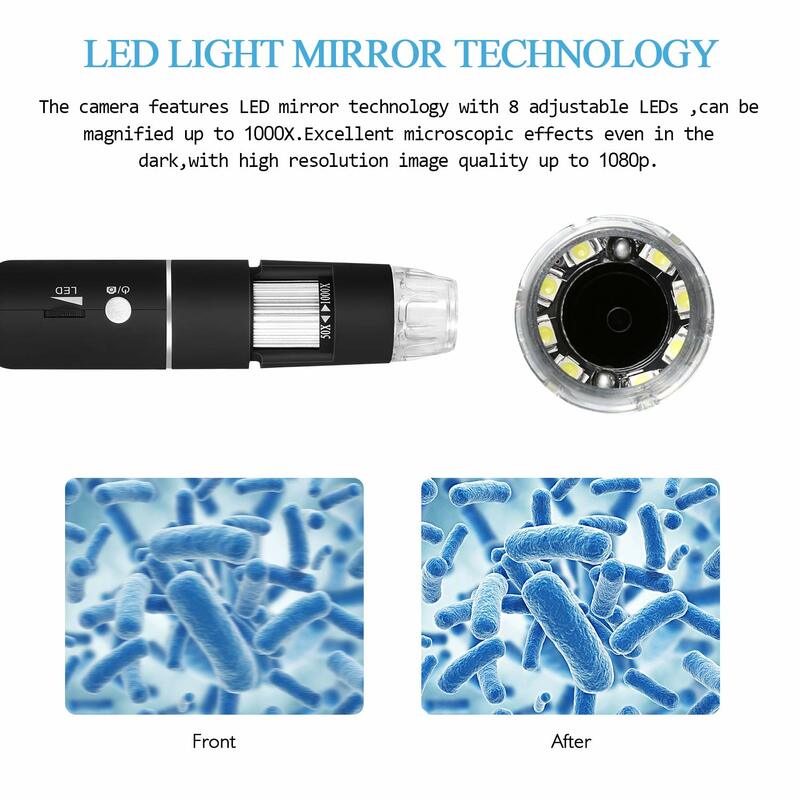 You only need to download the compatible software/app on your device,then you’re ready to use and enjoy the great fun of microscopic world from the scope camera. 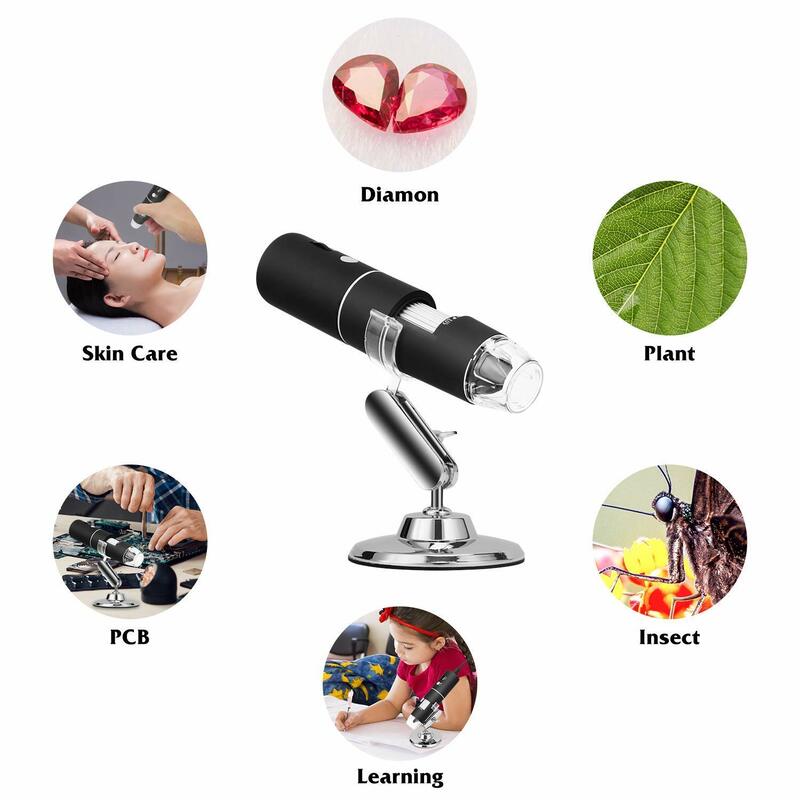 This digital microscope is perfect for industrial inspection, telecom module inspection,laboratory research, medical analysis, school research tool, insect and plant dissection examination, jewelry inspection and so on. 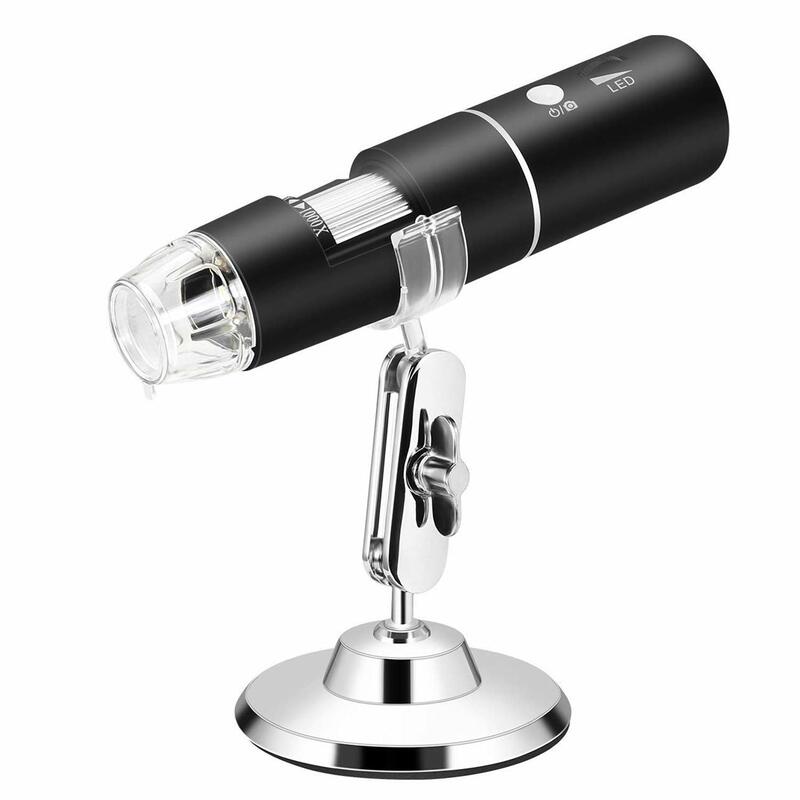 While this will not replace a full-powered microscope, its convenience and simplicity makes it a lot of fun to use. I have bought a similar model (without wireless) for my niece, which she had fun with. This device lets you get close up enough to make out details, such as the ink (including metallic flecks) and paper in American currency, or the barbs on an insect's legs. The stand is easy to adjust, and the LED lighting works very well. Wireless use requires both an application (Max-see, a free download from the app store) and pairing the phone to the device via wifi. This is very easy to do, and there is no password needed. Screen resolution can be set to 3 different resolutions, including 1920x1080. Images are stored as jpegs. The application has minimal options, but works well. On a Mac connected via USB, I was able to use the microscope with Photo Booth, Quicktime (record movies) and even FaceTime. For Windows the manufacturer has a downloadable application, but since it is a UVC device (essentially showing up as a USB web camera) it should work with many other applications - and I would guess Linux as well. Overall, this is a really neat device that is fun to use. Battery life is good enough that it will work for quite a while between charges. I really like the flexibility of using either a mobile device (like a phone or tablet) or connecting via USB - and that there are no special device drivers needed. I can see this being useful for detail work, or for a kid to explore their world on a small scale. 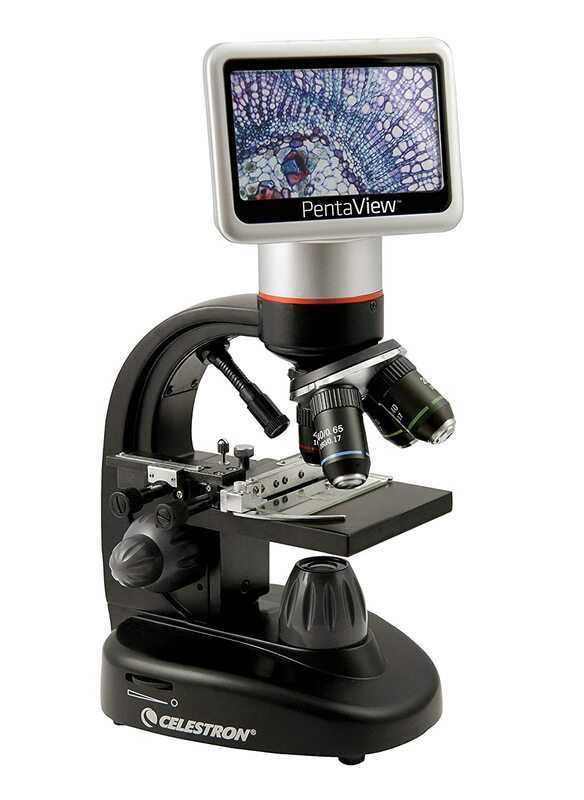 This is a great microscope for kids, especially for school projects. It works in conjuction with an app and I was up and running within 3 minutes of opening it. I happened to have a few slides on my shelf and it got pretty good results. My pictures are of my jeans, a leaf, a goldfish scale, and an onion. I pulled off the cross-section of onion from one in my kitchen and it had great results. The magnification does not seem to be enough to see cells (I had no luck with a cheek swab), but I was very happy with the magnification for other things. It's possible I could've gotten better results if I'd worked harder at it, too. It's as easy to take a picture as to see the object, so for a kid in school, this is like a dream. "Look at what I saw, teacher!" This is honestly one of those products that make me marvel at what technology can do, and so cheaply, these days. I just plugged it in to my iMac and opened up Photo Booth, works great! You see more than you may care to if you take a look at your skin or your nose especially on a 27 inch screen... One issue is the clamp that holds it to the stand gets in the way of the zoom/focus dial. You can focus by changing the distance but that's a bit of a pain especially free hand, it's easier to use with the stand. No idea what the two buttons on the bottom are supposed to do but nothing seemed to noticeably change pressing them. It is possible they only work with the app. But overall, it's fun for the kids to explore or even use to pull out a little splinter. 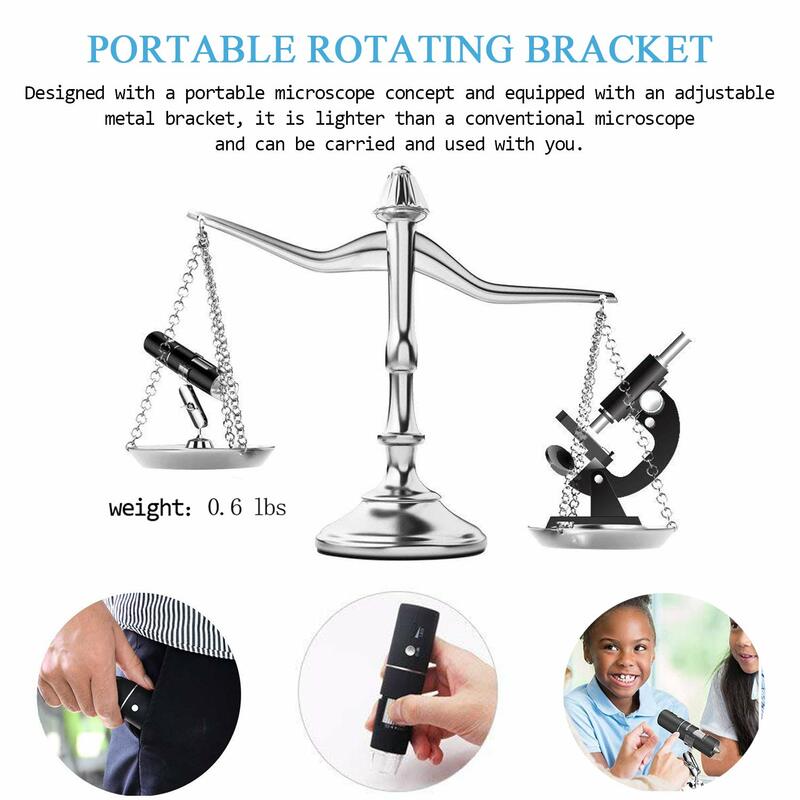 This is a neat microscope for a mobile phone or desktop, but for a phone its connectivity is weird. If creates a local network that you need to put your phone onto, which means you have to disconnected from normal wifi. Not sure why it couldn't be bluetooth enabled instead.